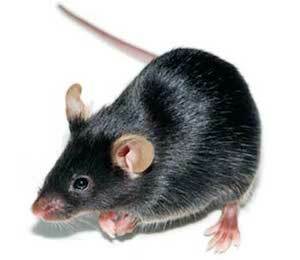 The Tau mouse was developed in the laboratory of Mike Hutton at the Mayo Clinic. The model was created by microinjecting transgenic constructs containing the P301L mutation of the microtubule associated tau gene and mouse prion promoter into B6D2F1 x SW zygotes. The resultant mice from Founder Line JNPL3 were mated to B6D2F1. Taconic received stock in December 2000. The mice were derived by embryo transfer and mated to SW and B6D2F1 hybrids and embryo transfer derived. Offspring from both backgrounds were combined and are mated to B6D2F1 mice to produce hemizygous and wild type mice (1638). Hemizygous Tau mice were intercrossed to generate homozygous Tau mice. The homozygous colony is maintained by incrossing homozygotes. Lewis J, McGowan E, Rockwood J, Melrose H, Nacaraju P, Van Slegtenhorst M, Gwinn-Hardy K, Murphy MP, Baker M, Yu X, Duff K, Hardy J, Corral A, Lin W-L, Yen S-H, Dickson DW, Davies P, Hutton M. (2000) Neurofibrillary Tangles, Amyotrophy and Progressive Motor Disturbance in Mice Expressing Mutant (P301L) Tau Protein. Nat Genet, 25(4):402-406. Role for glyoxalase I in Alzheimer's disease. Tau protein is cross-linked by transglutaminase in P301L tau transgenic mice.